Kristin over at Simply Speech is hosting a linky looking to find out what some of our favorite board games of 2014 were. My students love to play games, but sometimes I feel like we just don't have time when focusing on specific goals. So, when I pull out a game, my students really get excited! 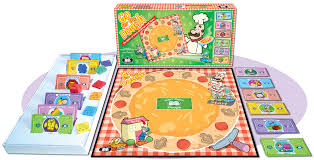 The first game that I love to use to target a variety of skills is Go For The Dough by Super Duper, Inc. This game is made to target synonyms, antonyms, definitions, categories, multiple meanings, and rhyming words. Many times though, I just use the "money" and play it as an open ended game for targeting articulation or other language skill drills. My students love earning "money" when they land on granny. My favorite thing to do with this game recently is to use it with my EET. Students use the items on the definitions money and also use the EET to describe. We have been having a great time using the game this way! The next two games that I love are games that we use with our social language groups of students with ASD. I listed the links to these on Amazon, however I have often seen both of these games at Toys R Us and Target. 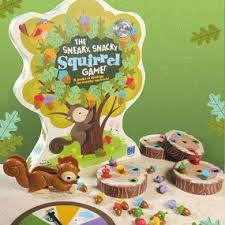 Sneaky Snacky Squirrel is a super cute game. We use this one a variety of ways. My favorite way to use this game is when we have our kindergarten ASD students with their general ed SNAPs (Students Need a Pal) 5th grade friends. We have the fifth graders hold the acorns, and the students with ASD use their PECS books or verbal request for the color of acorn that they want. They just don't seem to have the patience for the spinners yet. 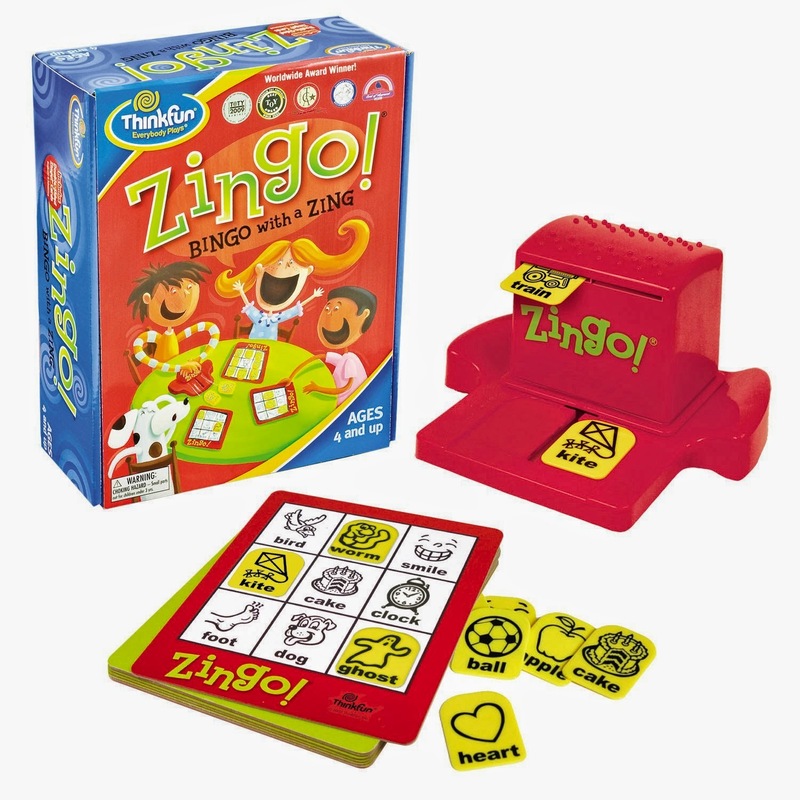 Zingo is also a great game to use with our younger students with ASD. It is great for turn taking, and we even have them offering items they don't need to other students to get more interaction. 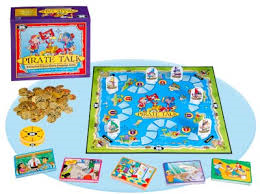 My final favorite game this year is Pirate Talk, also by Super Duper, Inc. I often use this as an open ended game to target any skill. My students absolutely LOVE earning the gold coins! The cards that are included are good too. There are receptive and expressive skills targeted. Those are my favorite go-to games right now. What are your favorites? You can check out lots of favorites over at Simply Speech. Just scroll down to find the linky at the end of her post. Wonderful choices! I don't have Pirate Talk, it looks very versatile!